It is time for the 2019...3 for 30 Raffle! 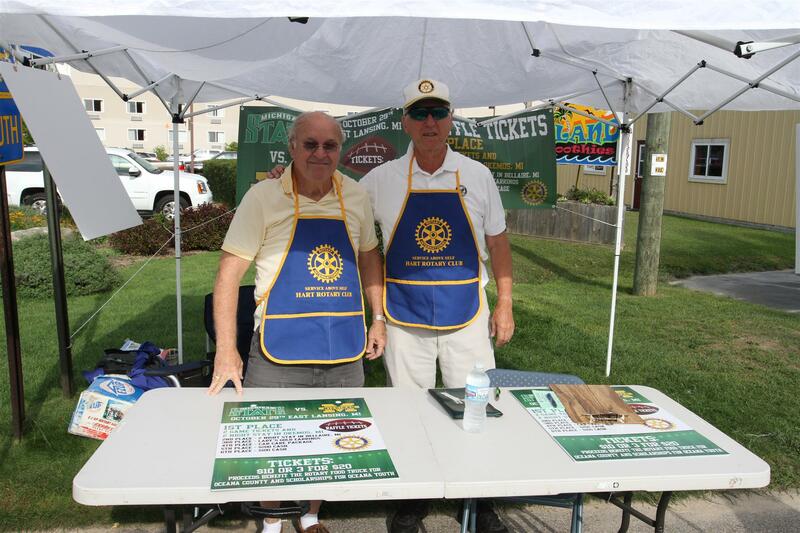 It is time to buy your 3 for 30 tickets to help support the service projects of our three Rotary Clubs - Hart, Shelby and Whitehall-Montague. This year is better than ever with more than $10,000 in prizes! 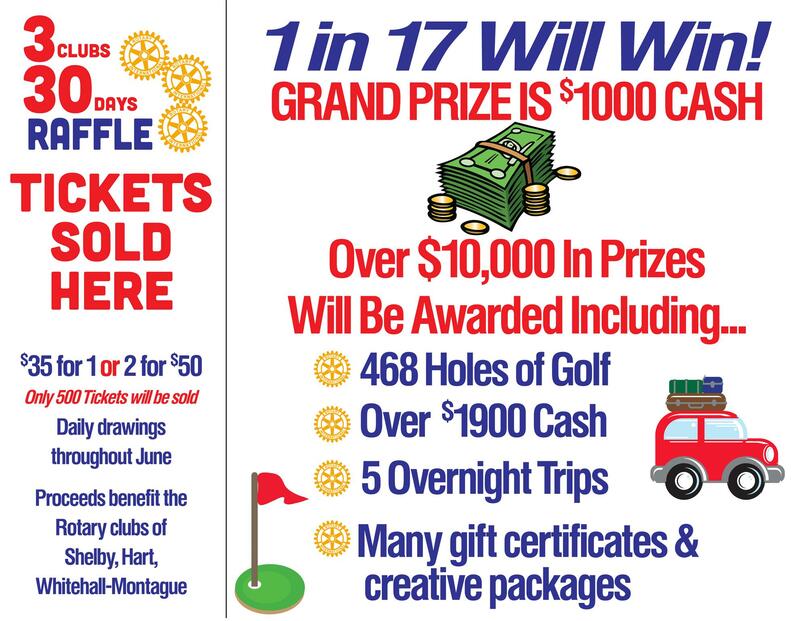 Contact your favorite Rotarian to buy your tickets and check this site or our Facebook page for the daily winners in June. Good luck an THANK YOU! 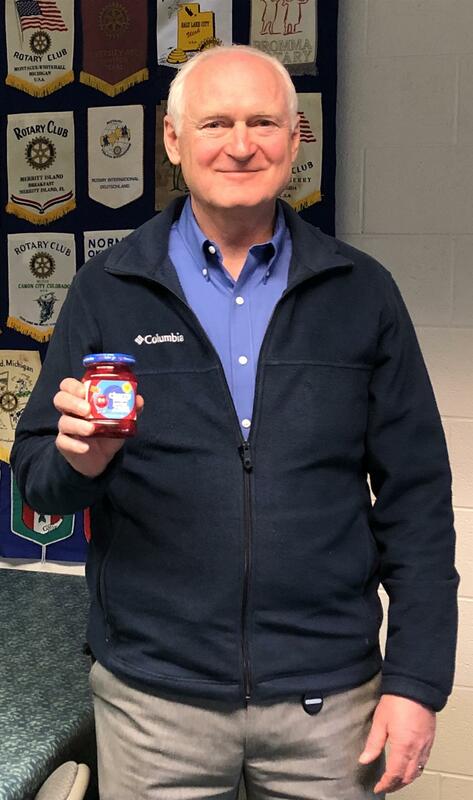 Dirk Williams updated the Club today on the expansion at Gray & Company and gave us an overview (and delicious samples) of the different types of cherry products that are processed at the Hart facility. Thank you! 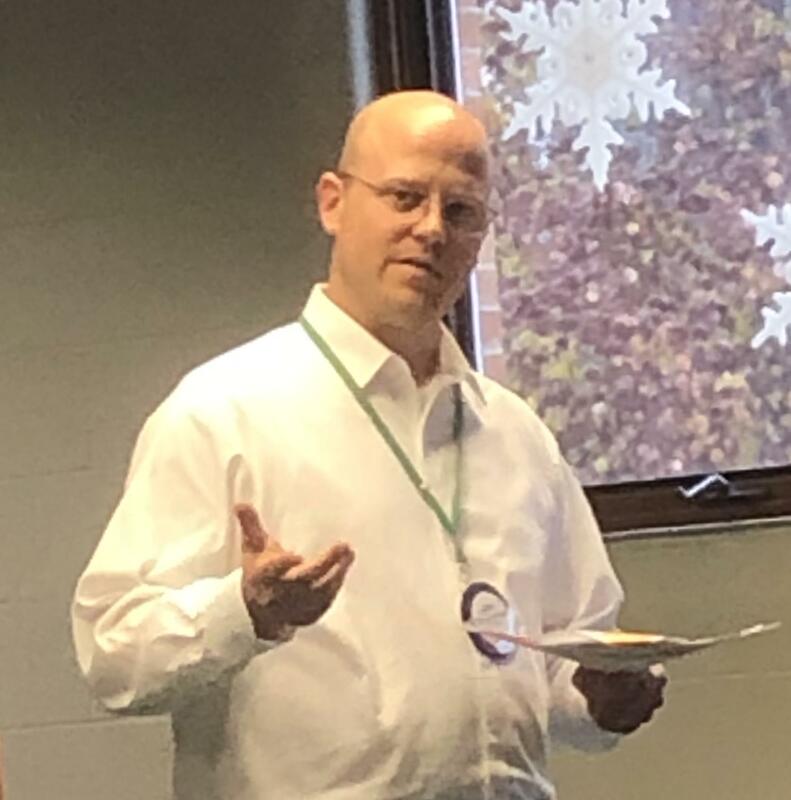 Our speaker on Wednesday was one of our own, Steve Bruch, who is a financial advisor with Voya. He discussed a unique and much needed program, Voya Cares, which addresses the long term financial needs of people with special needs. Thank you! 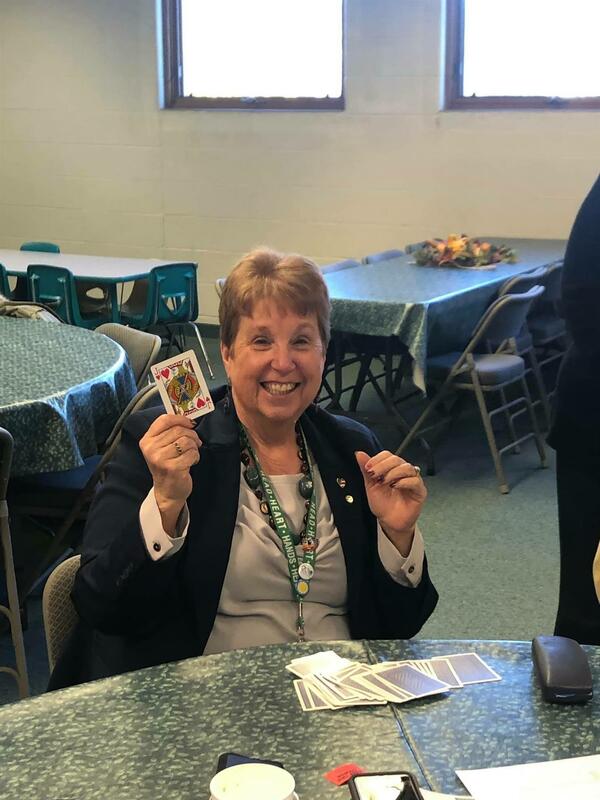 Penny Burillo is the lucky winner of our 50/50. Congratulations!! 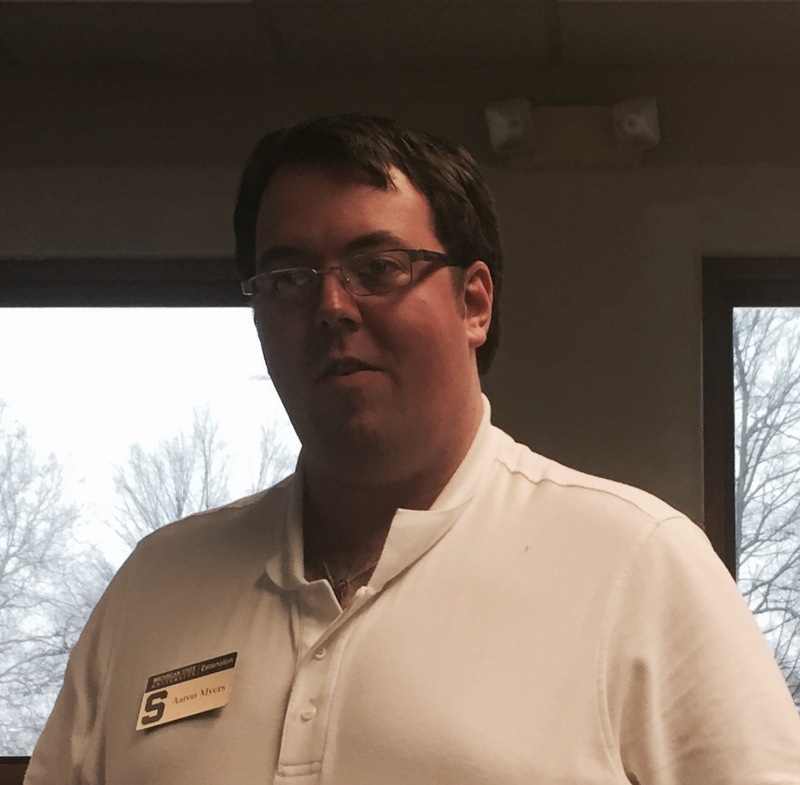 We would like to thank the Shelby Rotary Club for hosting a joint meeting with our club this afternoon. It is always fun! 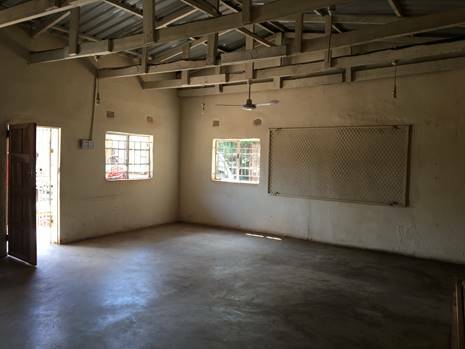 We are excited about the announcement that our joint fund raising project, Three for Thirty, is a go for 2019! 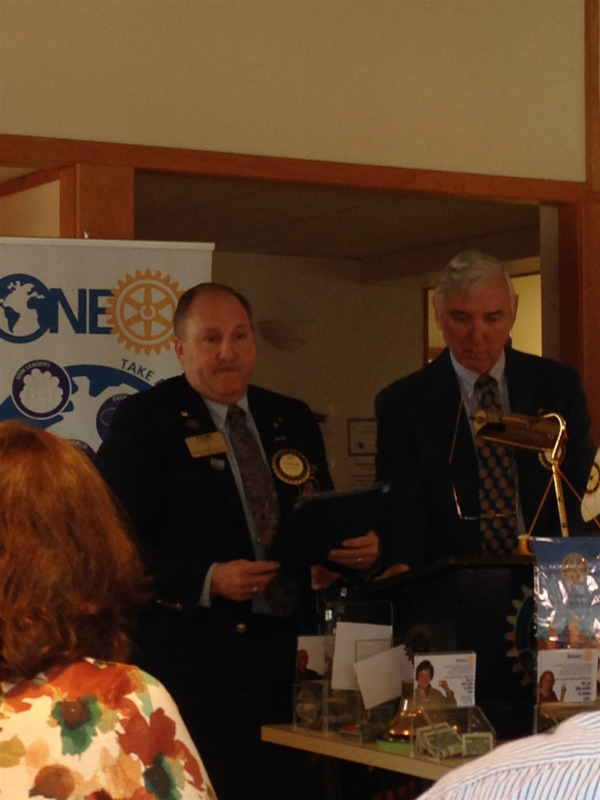 District Governor Brian Robertson addressed the Club today speaking on the importance of Rotary on a global basis. Jeff Coil from the Fremont Club also joined in the fun today! 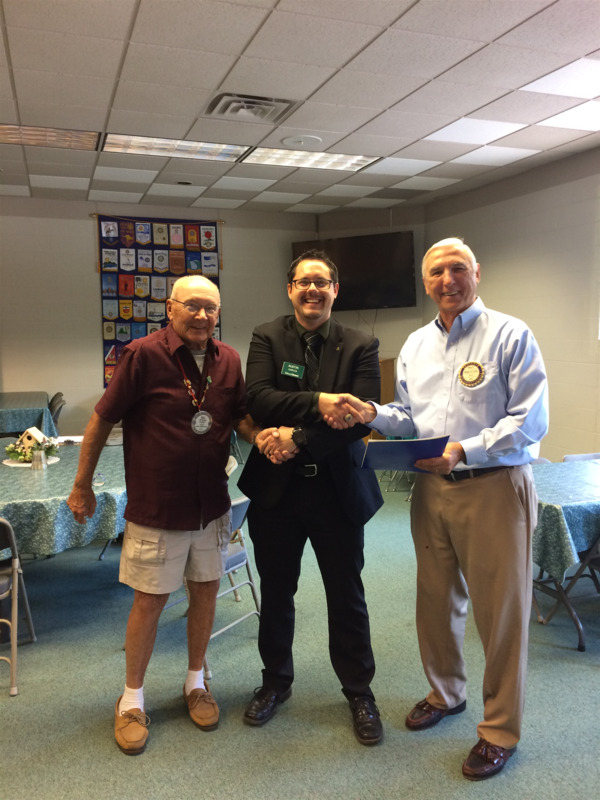 We are happy to welcome Austin Garcia from Edward D. Jones to the Hart Rotary Club! 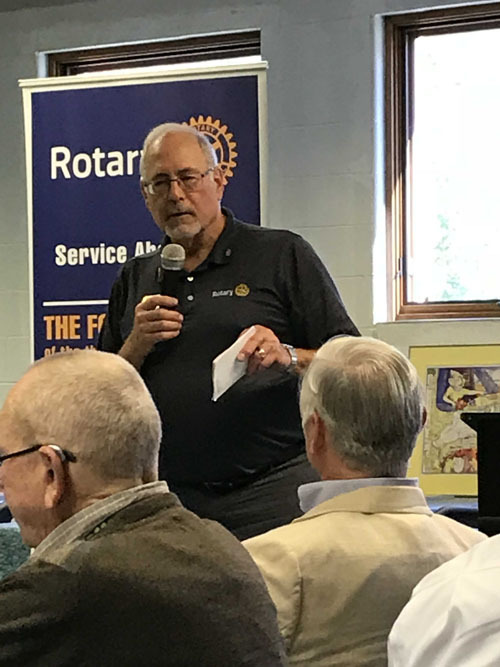 The Hart Rotary Club welcomed District Governor Ed Swart today who spoke on the “Magic of the Match” and the amazing difference Rotarians are making, not only locally, but around the world. 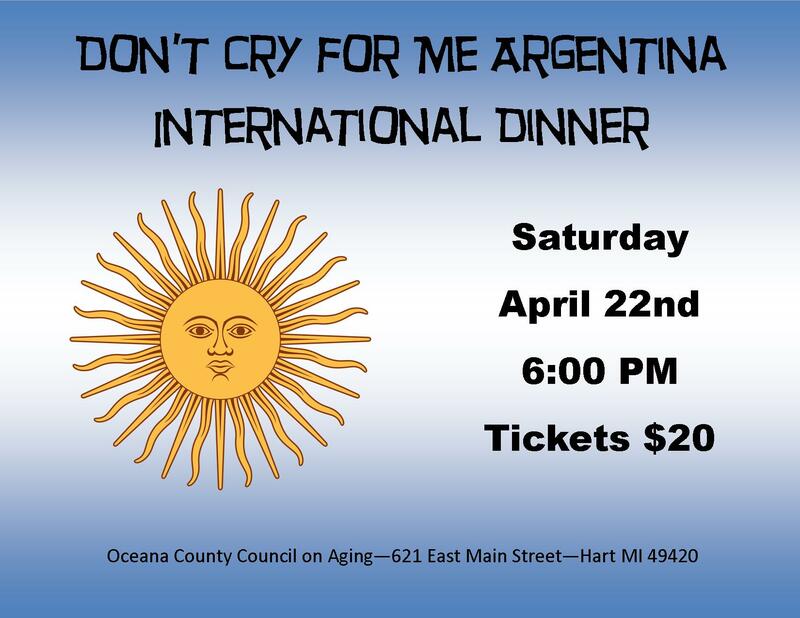 Come to the Council for its evening out of the country...Don't Cry for Me Argentina International Dinner with our very own Valentina Ojeda as guest chef! 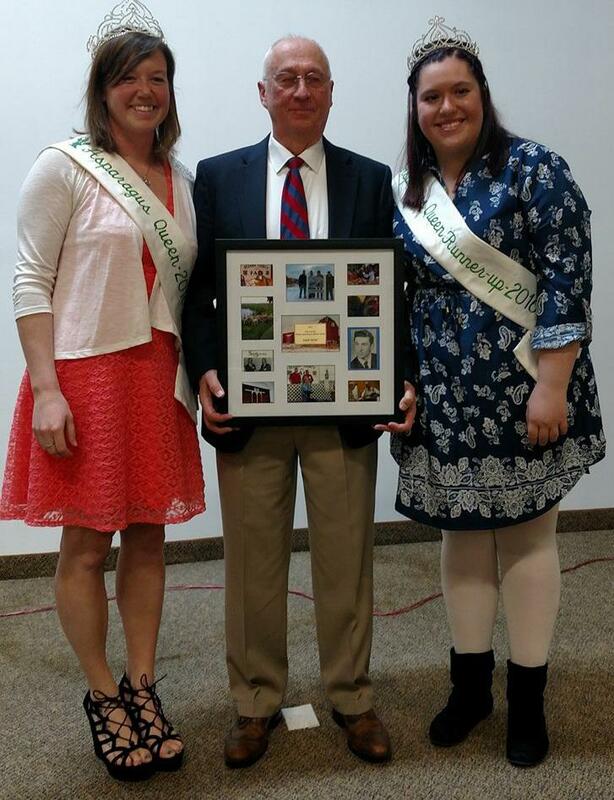 Congratulations to Gayle Forner for receiving the Oceana County Friend of Agricultural Award at the annual g Dinner. 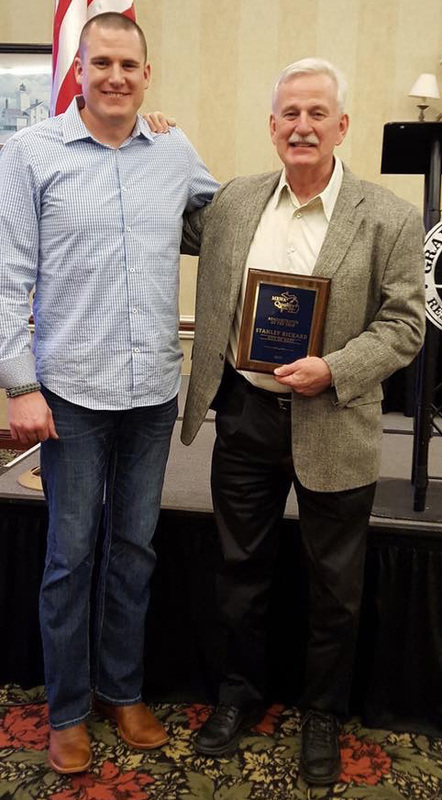 Congratulations to member Stan Rickard for being recognized as Michigan City Manager of the Year! Don't forget to add Mrs. Mullen's Closet to your gift list! This year they are in need of snow pants (sizes 3T-12) and good mittens to keep hands warm and dry. 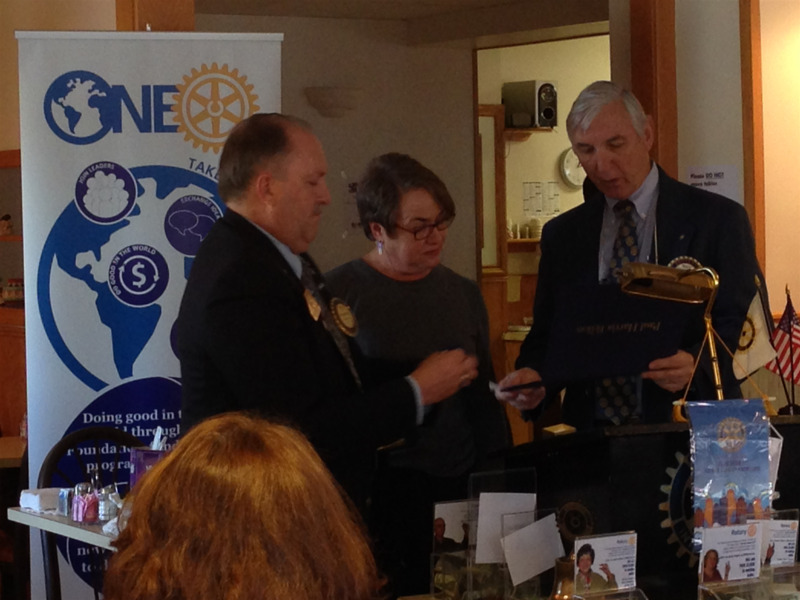 Welcome to Hart Rotary! 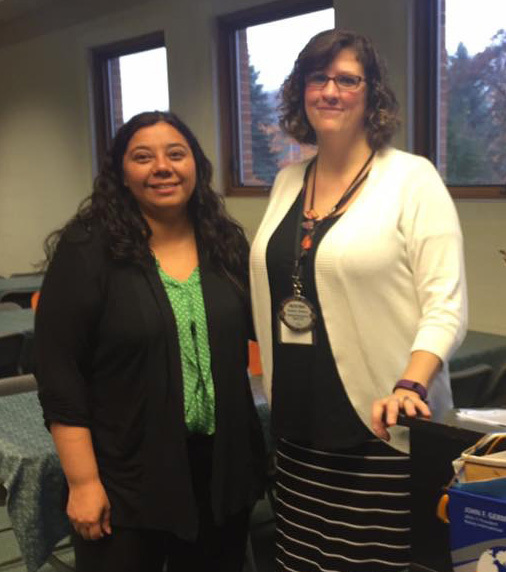 Eva Berumen, Executive Director of the Oceana Hispanic Center, was inducted today by Club President Heather Jimison. 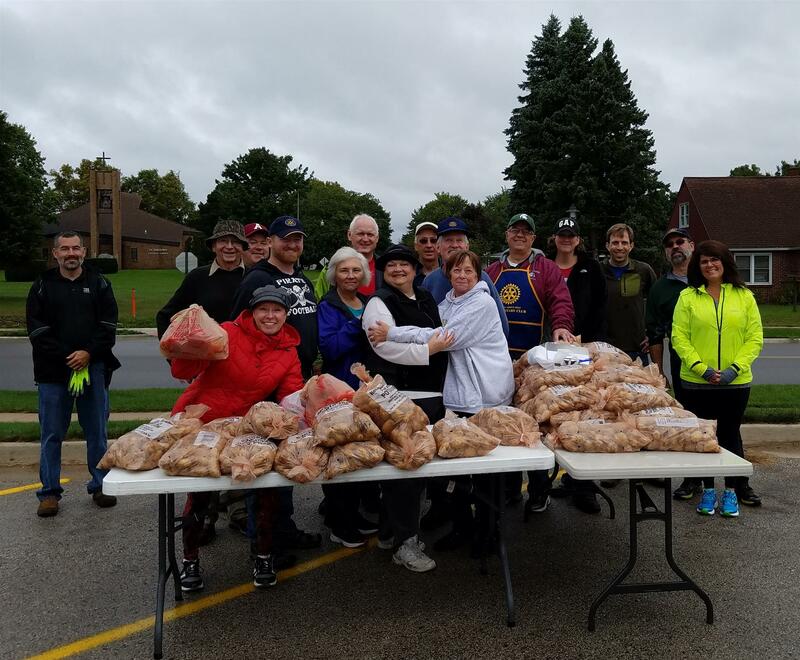 The families stayed dry, the food stayed kind of dry and the Hart Rotarians got soaked...but it was a great day for community service! The Apple Fest might be over but there is still time to purchase raffle tickets for the MSU/U of M game. 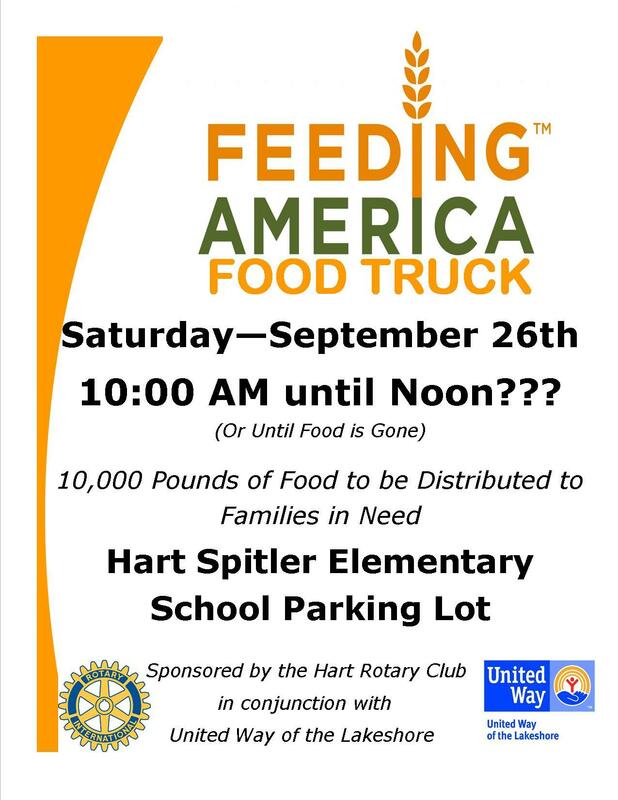 Just contact your favorite Hart Rotarian! Today we said Goodbye to our Hart exchange student, Lysa. It has been a great year with her and we wish her safe travels back to Réunion Island (a French department in the Indian Ocean). She brought her mom (maman), sister (sœur) and brother (frère) to meet us and to be her travel companions back to France. So, À bientôt / À tout à l’heure (See you soon), Adieu (Farewell), À la prochaine (Until next time)! Thanks for everyone who volunteered to make this another great event in Downtown Hart! 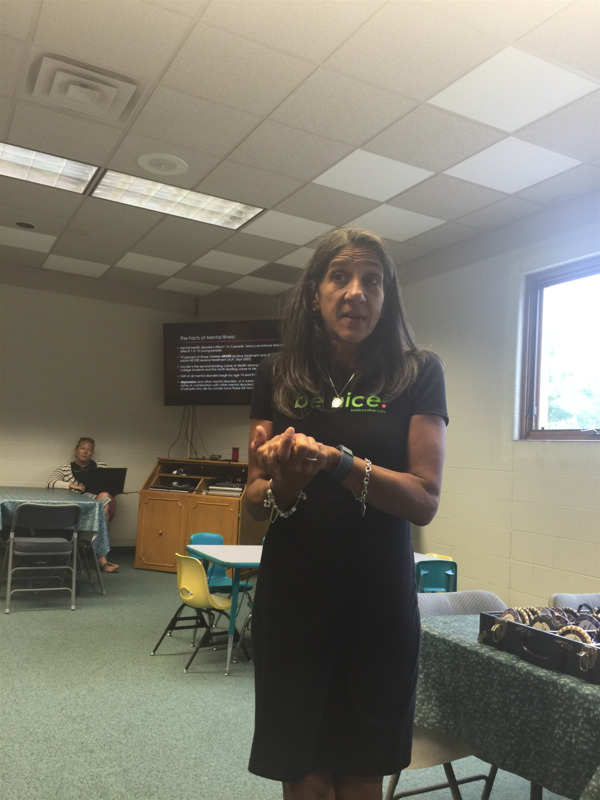 Be Nice Program comes to Oceana County! 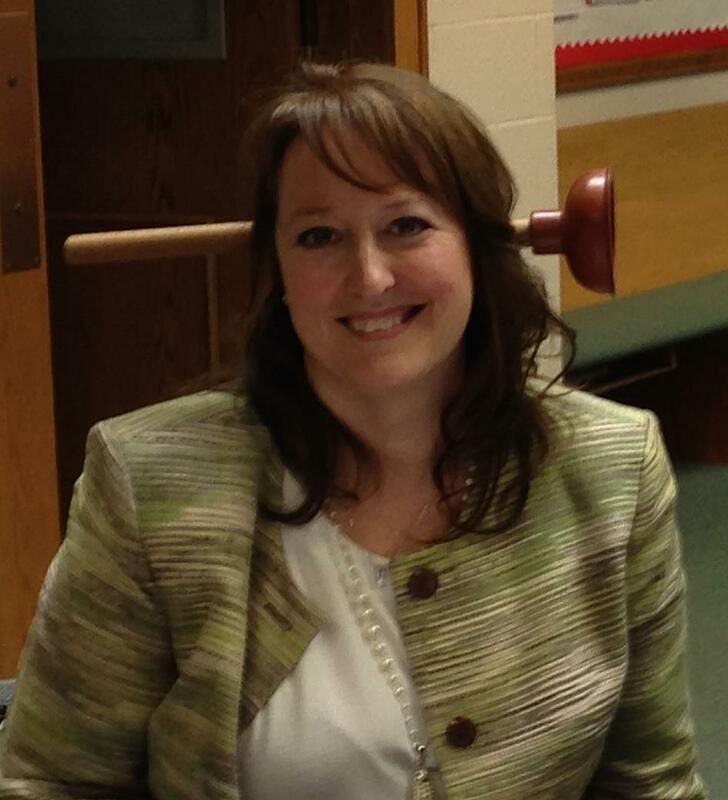 Christy Buck, Executive Director of the Be Nice program, shared with us about the Be N.I.C.E model. This program is a mental health awareness, bullying and suicide prevention initiative, that focuses on school-wide change through simple, daily actions. 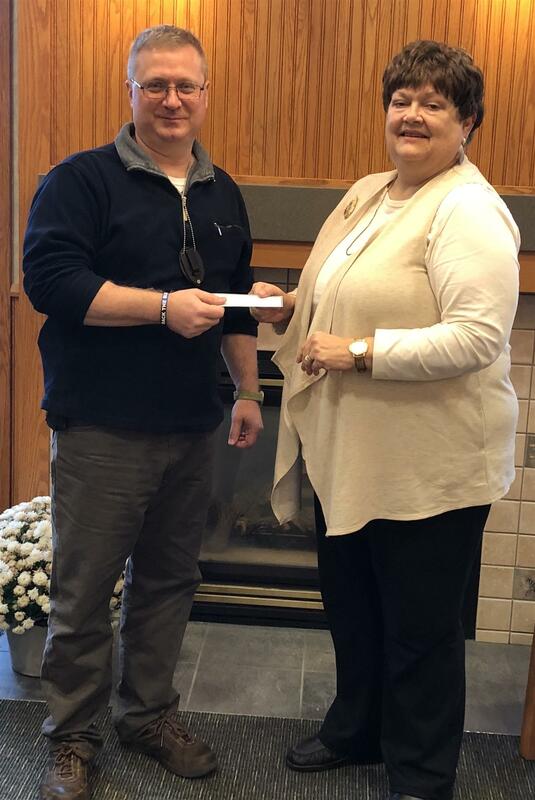 Schools in Oceana County will benefit from this program starting this next school year, thanks in part to the Oceana County Community Foundation as well as various generous donors. Ask your students about this program in the near future! 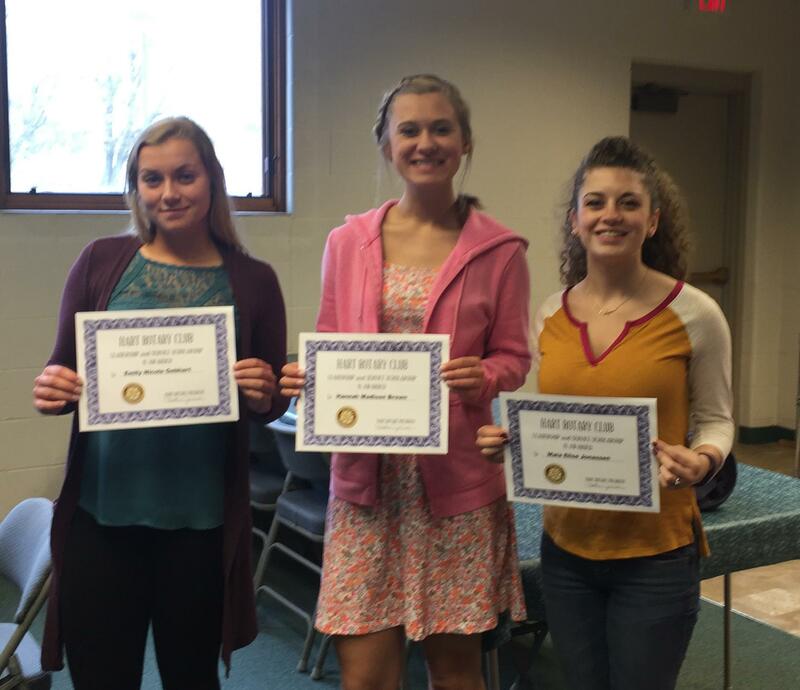 At our meeting this week the Club recognized the three recipients of our 2016 Scholarships- Emily Gebhardt from Pentwater High School who will be attending Grace Bible College, Hannah Brown from Hart High School who will be attending Central and Maia Jonassen also from Hart High School who will be attending Grand Valley. Congratulations to all of you and we wish you the best in your collegiate days and beyond! 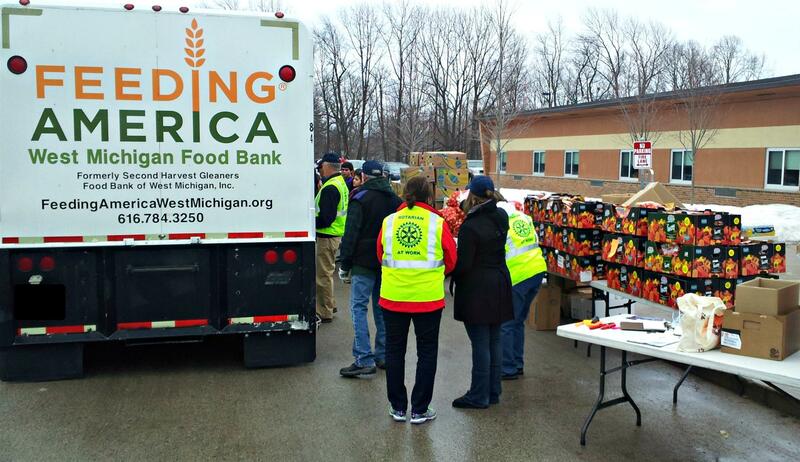 Hart Rotarians sponsored another Feeding America food truck on Saturday along with the United Way of West Michigan. 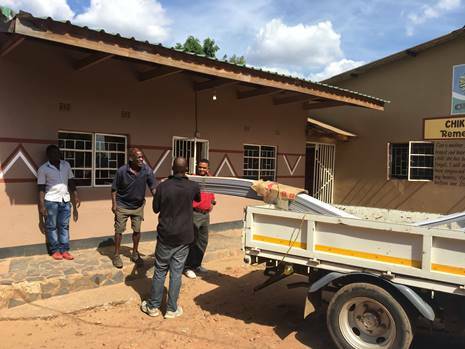 More than 160 families received fresh vegetables, including tomatoes, potatoes, and peppers and dairy products, including milk and yogurt. 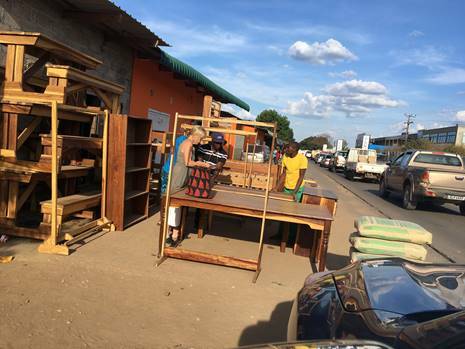 We would like to thank the many community members who volunteered their time to help on Saturday. 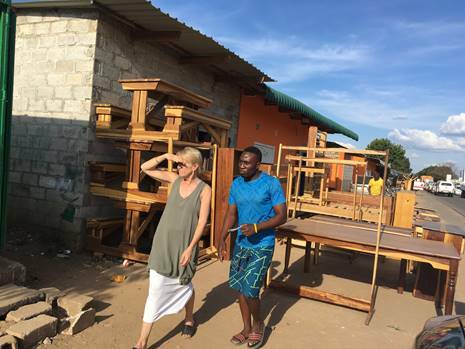 We could not have done it without you! Thank you! 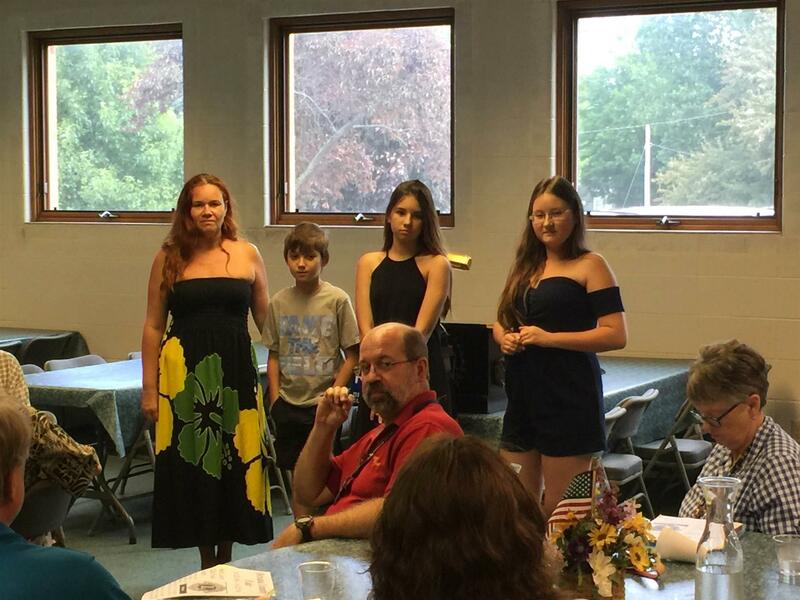 Hart and Shelby Rotary Clubs combined for our annual International Dinner to honor our exchange students. Lysa Poumirol is the Hart exchange student from Reunion Island - an insular region of France in the Indian Ocean. Nuuti Makinen is the Shelby exchange student from Finland. They shared information about their countries and performed. It was a great night with excellent food and company! 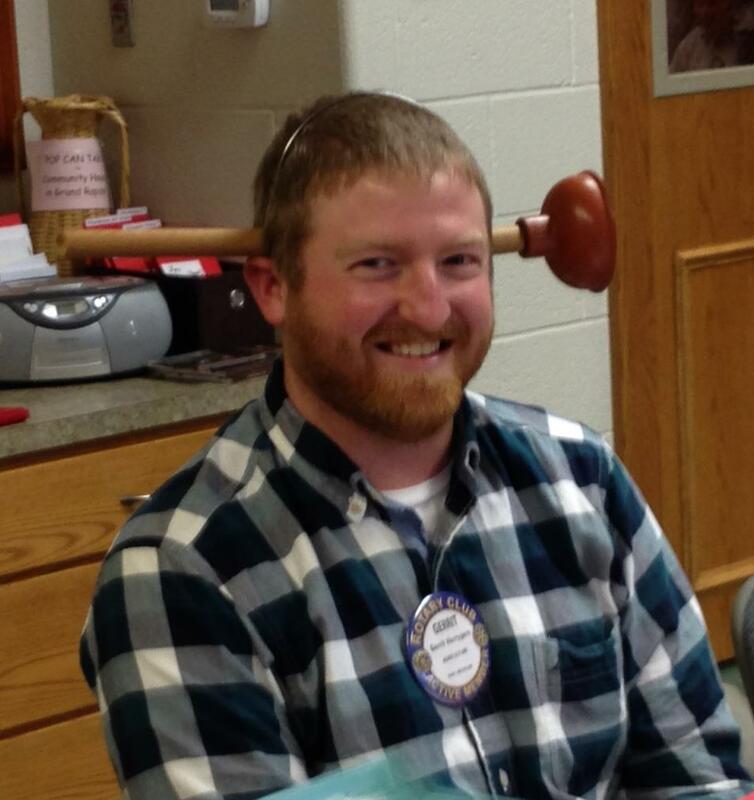 Aaron Myers addressed the Hart Rotary Club presenting a new 4-H program, Tech Wizards. The program is expanding into Oceana County and will be introduced at Pentwater Schools and to other districts during the 2016-2017 school year as an afternoon program focusing on STEAM (science, technology, engineering, art and mathematics). Myers is currently recruiting students and mentors. 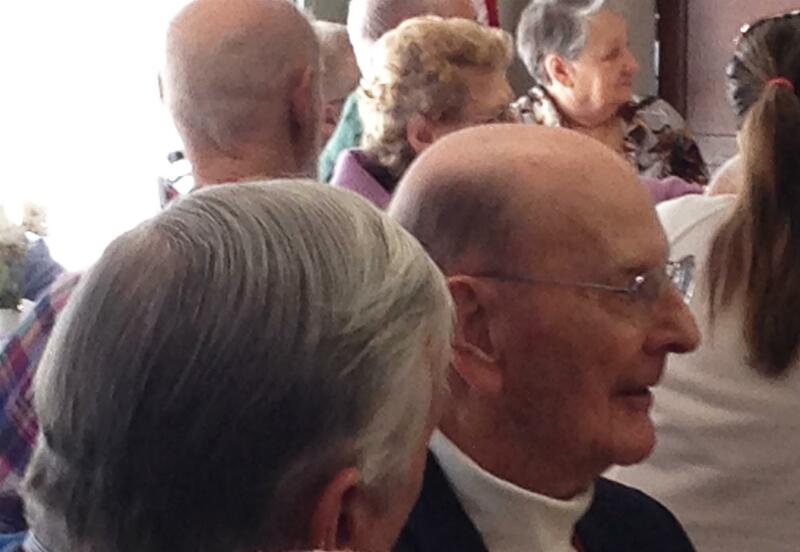 Today the Hart Rotary Club honored Stewart Roche on his 100th birthday at the Oceana Council on Aging. He was a founding member of the Club 75 years ago. 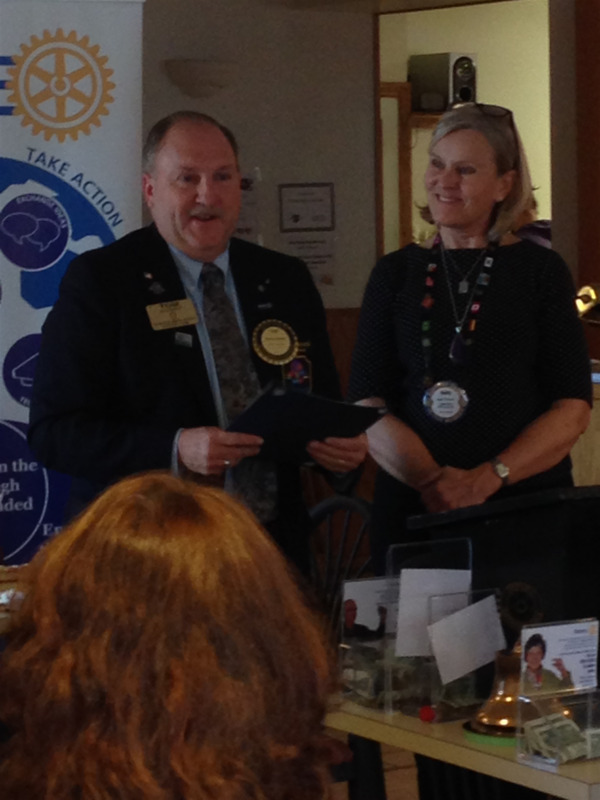 DG Tom Schmidt presented Stewart a resolution from Rotary International in appreciation for his continued years of Rotary service. Our regular weekly meeting on February 17th will be held at the Council on Aging at 12:15 pm. We will be honoring Stewart Roche, founding member of the Hart Rotary Club, on his 100th birthday! 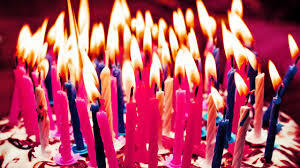 Help him blow out the candles!! 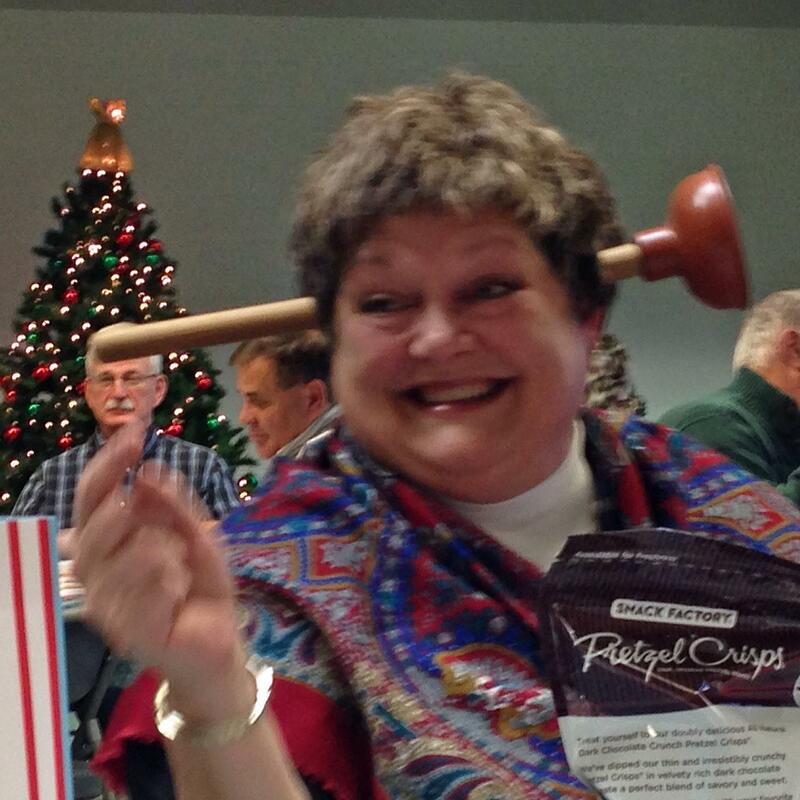 Plunging into the Holidays...Starting a New Tradition! We had a great Christmas Party this afternoon including fun, food and friendship! The gift exchange was not only fun...but we are starting a new tradition...at least according to our table! Bev Wood's unique gift will now be re-gifted every year! 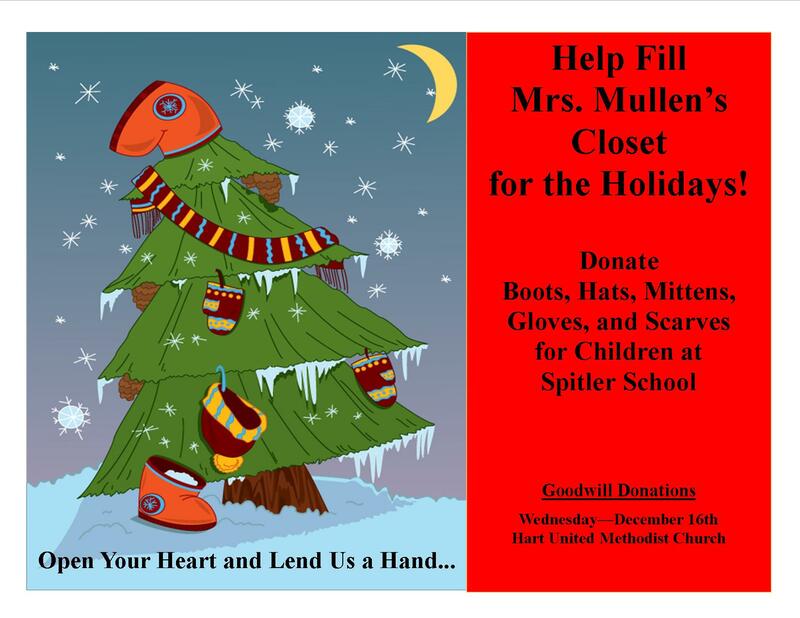 Don't forget to add Mrs. Mullen's Closet to your gift list! 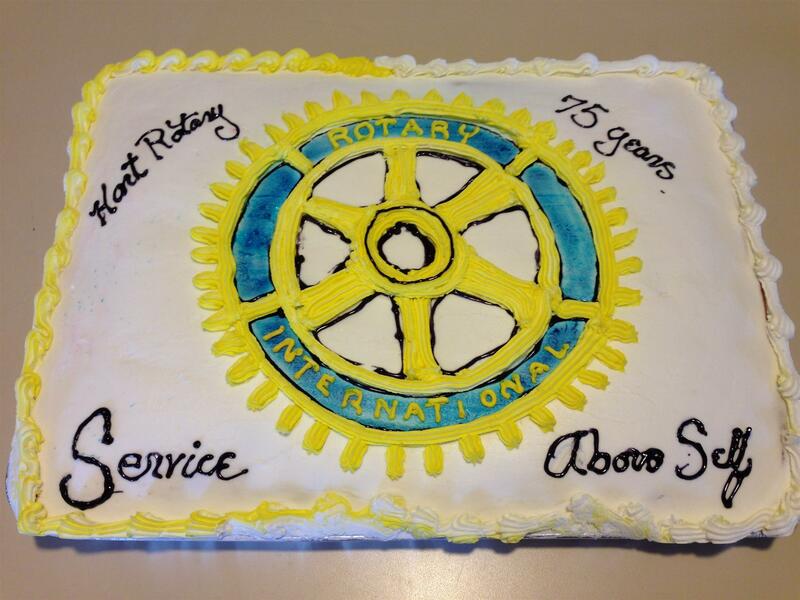 Today the members of the Hart Rotary Club celebrated 75 years of service in our community! 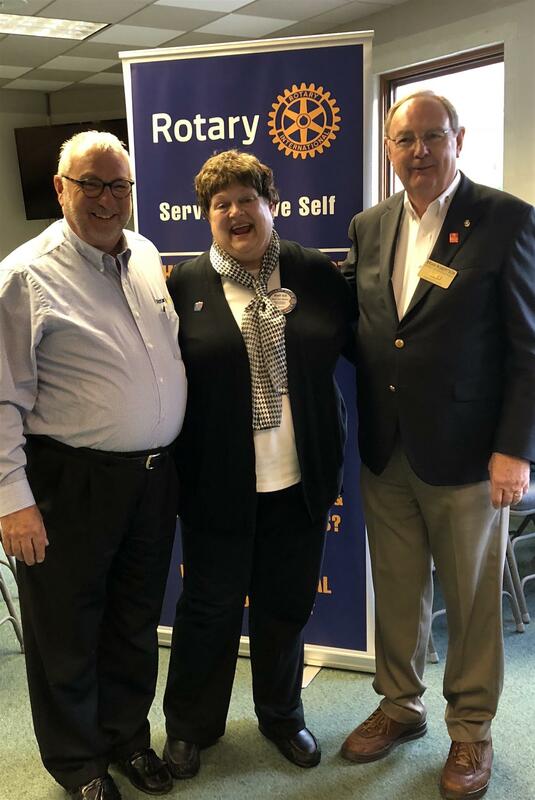 District Governor Tom Schmidt and Foundation Chair Walt Urick. Presentation of Paul Harris Award to Anne Hardy, Executive Director of EDC. Great way to celebrate 75 years of service! 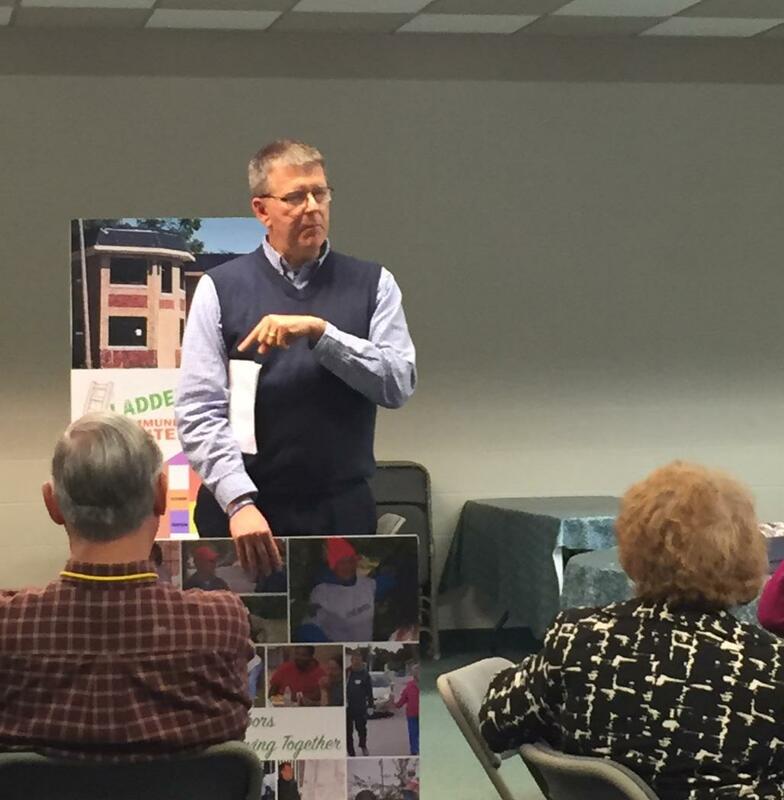 Great program today with Brian Beckman introducing The Ladder - a new community center for all ages in Shelby. Thank you! 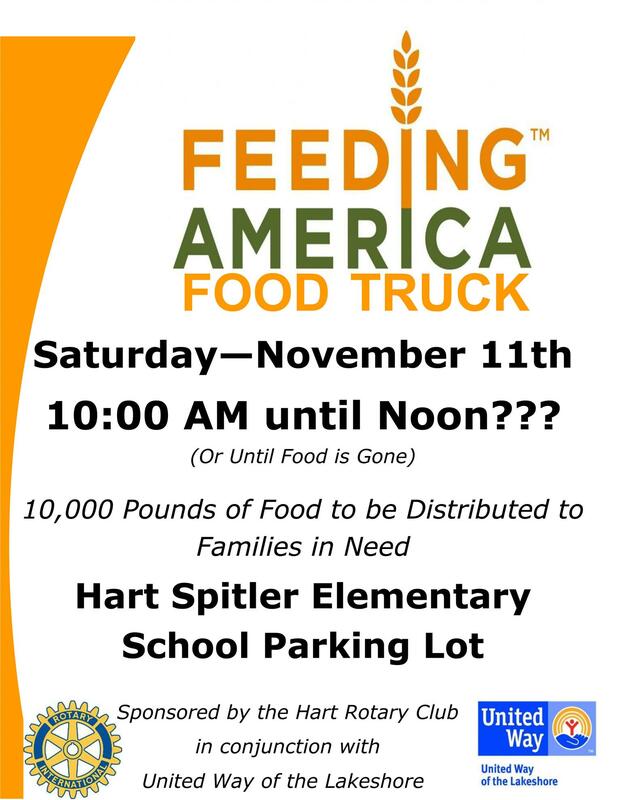 Hart Rotary is looking for volunteers to help distribute the food. Send the Club a FB message or contact Joan LundBorg. Thanks in advance!! 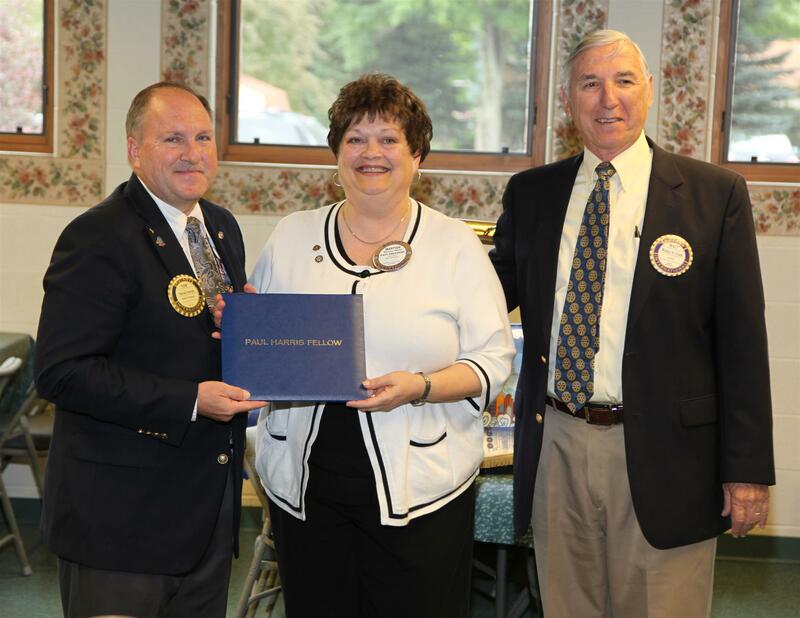 District Governor Tom Schmidt and Walt Urick present Mary Sue Mahan with the 2015 Paul Harris award for outstanding service to Rotary. Congratulations, Mary Sue! 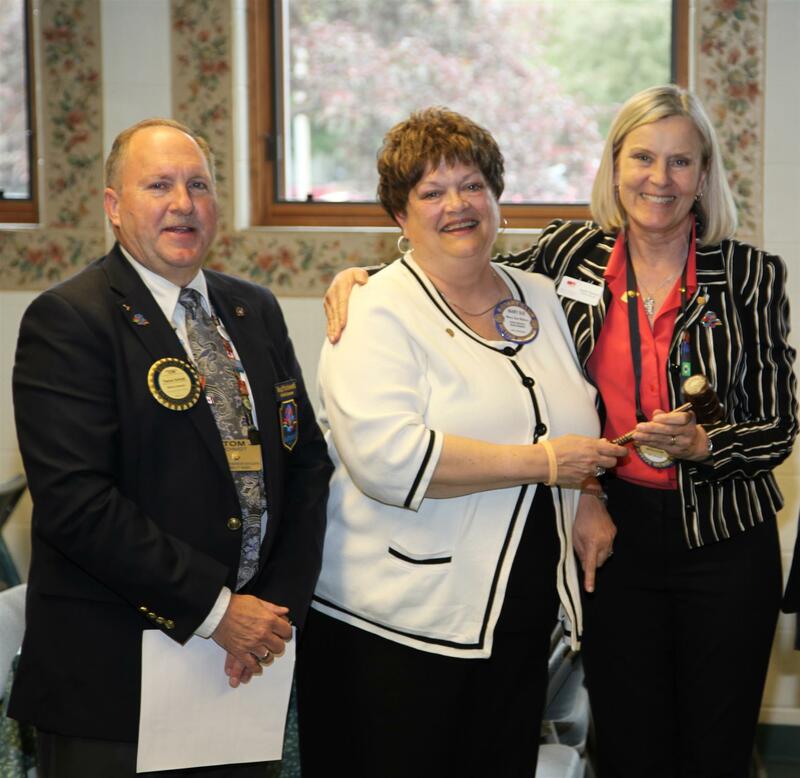 Tom Schmidt visited the Hart Rotary Club on his first day as District Governor and watched as Mary Sue Mahan handed over the gavel to incoming Club President Ingrid Pearson. 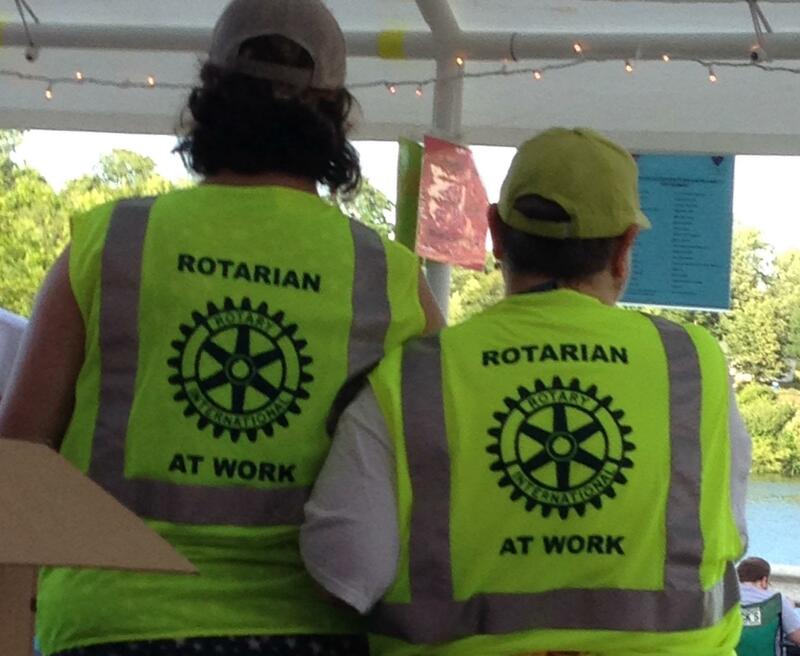 Thank you to all three of you for your commitment to Rotary! 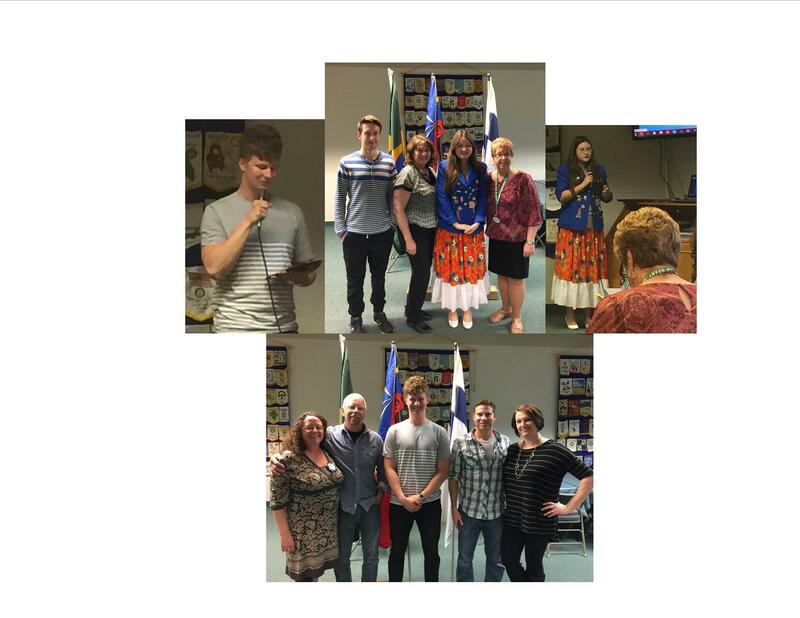 Our Club will host the annual International Dinner honoring our exchange students on Wednesday, April 22nd at 6:00 PM at the HUMC. This is a joint event with the Shelby Rotary Club and requires reservations. No noon meeting will be held. What a morning! 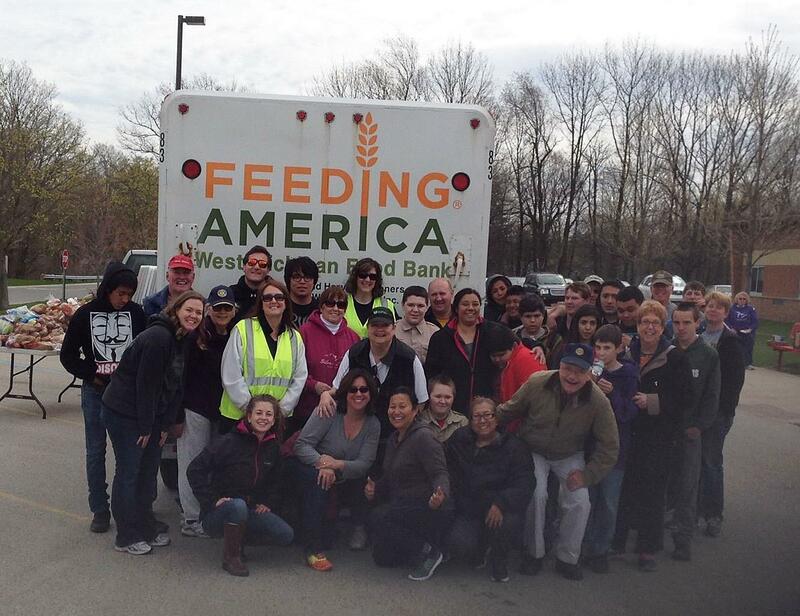 Thank you to all volunteers who unloaded and distributed 10,000 lbs of food to 191 families. 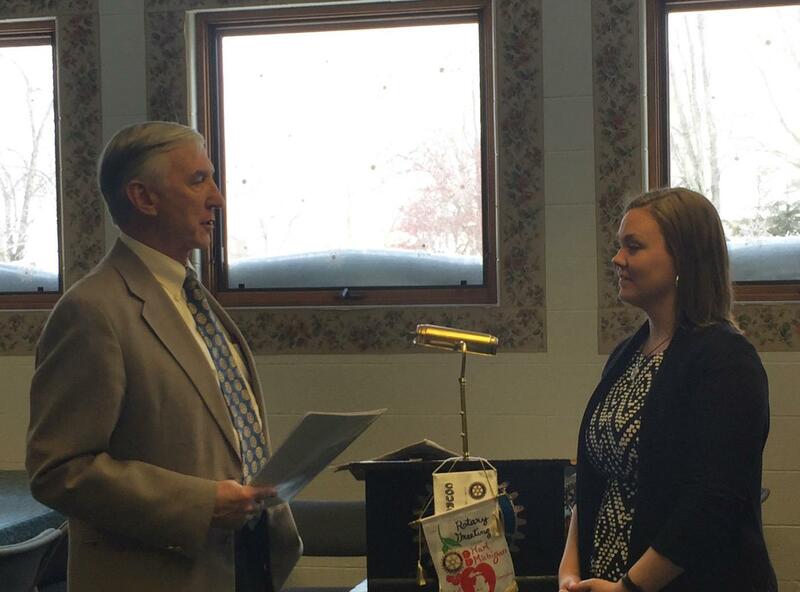 This afternoon the Hart Rotary Club welcomed a new member, Krista Erickson. Krista is the Director of the Oceana County/United Way of the Lakeshore and became interested in joining as a result of our Food Truck project. 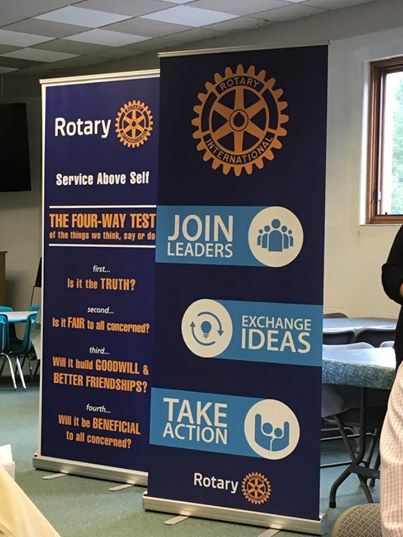 Welcome to Rotary! 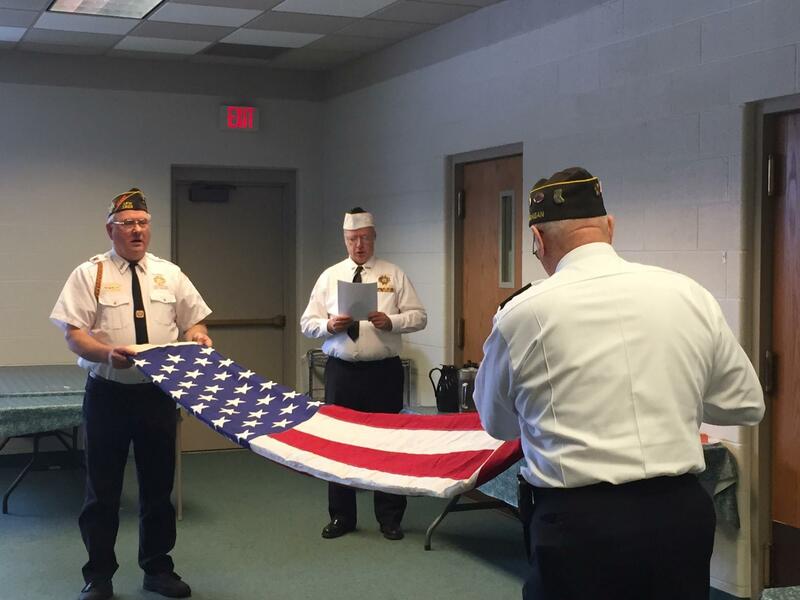 Members of the Hart VFW were the guest speakers today. 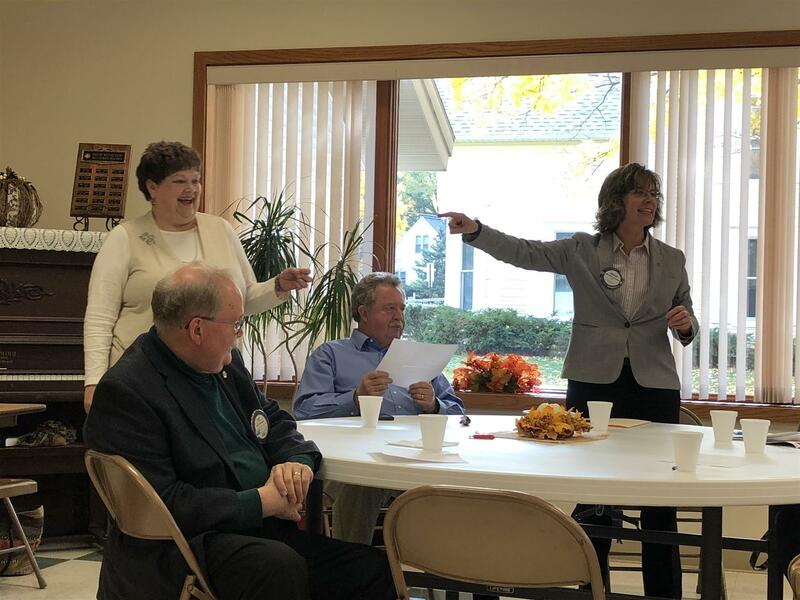 Their program included a discussion on the activities of the club including support for local veterans and their families and the meaning of the thirteen folds when folding the U.S. flag. Thank you for your service to our countr y! Club members were happy to see Miri again. She was our exchange student from Germany in 2011-2012. 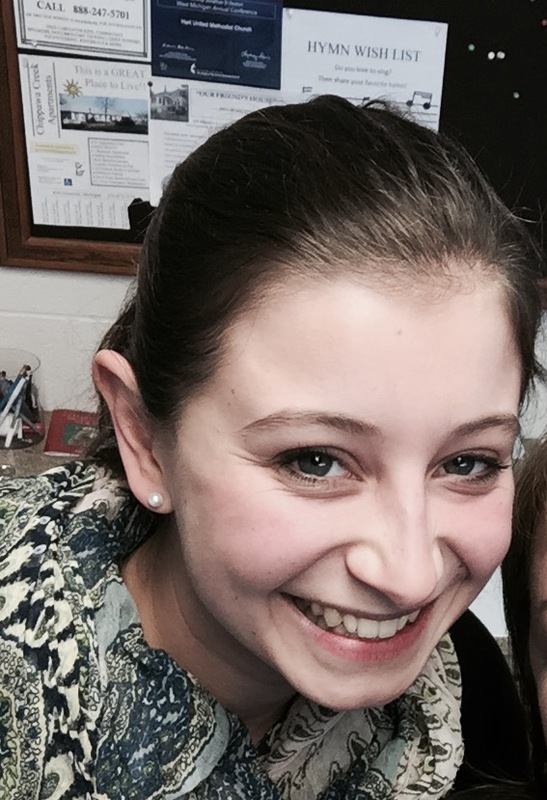 While on college break she is visiting Hart and then will travel to Mexico and Belize. Come back soon!